Chosen by pilots around the world Trig’s compact transponders are the best choice for good reason. Fitting in the tightest panel space the innovative design saves weight and space. Trig is ‘better by design,’with Mode S technology that makes you visible to commercial, military and GA traffic, as a result transiting busy airspace becomes more predictable and stress free. Trig transponders are future proof too – the growing use of ADS-B further enhances your visibility and flight safety. Unlike other brands Trig transponders meet the very latest certification standard for ADS-B, FAA TSO-C166b. Contact your nearest Approved Trig Dealer to order your compact transponder. 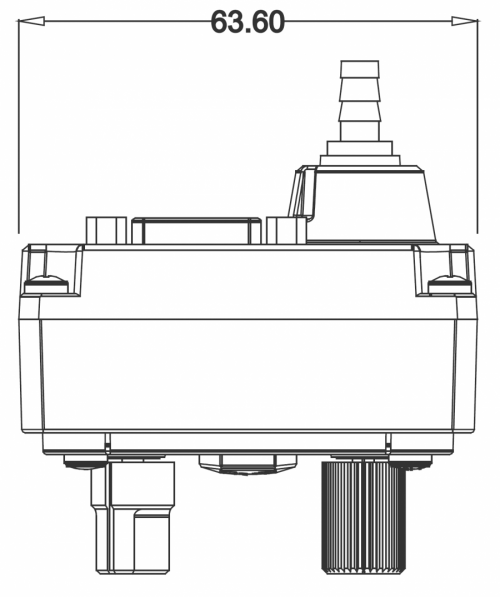 Trig’s compact transponder is in two parts with a compact control head; this includes an inbuilt altitude encoder – saving further space and expense. A separate hardware box can be installed anywhere in the airframe. 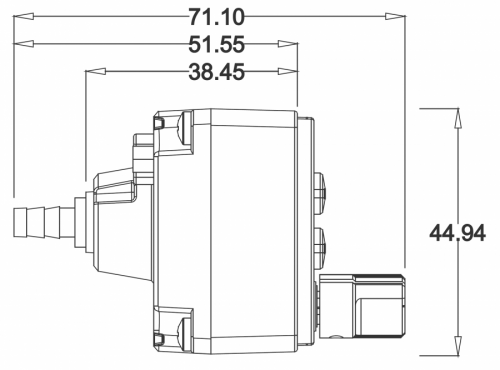 The mounted control head is only 54mm (2 3/25”) deep and can be fitted in panel using a 57mm (2 ¼”) round hole or smaller compact mount – the unit ships with the necessary fittings for both install options. Our compact transponders are highly efficient, whilst used in a wide range of GA types they are ideally suited for use in gliders and balloons, via an auxiliary battery. Trig’s compact transponders are easy to operate and have a crisp, bright display that’s easy to read in all lighting conditions and is equipped with manual dimming. The transponder control head is splash proof too, so it’s ideal for open cockpit and seaplane operations. ADS-B enhances safety and visibility – your investment in a TT22 transponder is future proof. 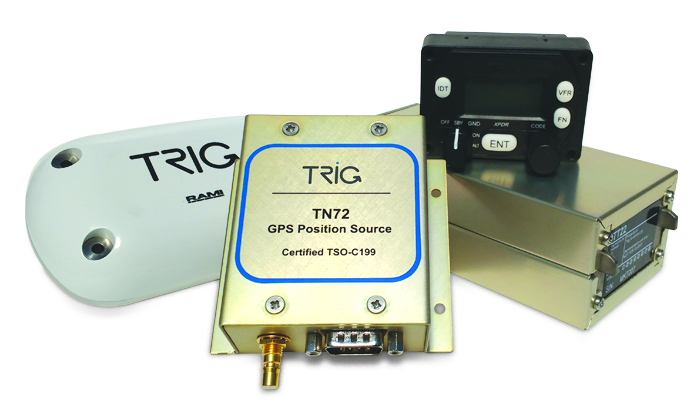 Trig has a matching certified GPS position source that is highly affordable called the TN72. This is ideal for ADS-B voluntary equipage and the TN72 can even be used to meet the 2020 mandate by light-sport, experimental and homebuilt types in the U.S.
Our TN70 GPS position source is suitable for certified Part 23 aircraft that need a TSO-C145 position source, for operations in 2020 rule ADS-B airspace using a TT22 transponder. What is the difference between the TT21 and the TT22? Both models have the same physical dimensions and advantages of size and ease of installation. The TT21 is a 130 watt Class 2 transponder; this makes it ideal for light sports and regular GA use. The TT22 is a 250 watt Class 1 transponder, ideally suited to higher performance and/or high altitude performance types. In the U.S. the FAA has stated that Class 1 transponders must be used to be ‘2020 complaint’ For U.S. customers Trig recommends the TT22 unit for this reason. Is the controller display visible in all lightling conditions? Yes! The LCD display is clear and crisp in all lighting, full sunlight generates a very clear contrast and in dull or dark lighting the inbuilt lighting ensures the unit remains clear and legible. The controller has a backlight and manual dimming can be selected to increase or decrease brightness. Is the controller easy to use? Yes! One handed operation is simple. The Squawk code is easily entered using fingers to rotate the ‘CODE’ dial whilst the thumb is used to press the ‘ENT’ key. All operations can be performed whilst wearing flying gloves. How does the compact fit or the round mount installation work? Complete units ship with the necessary parts to enable you to choose to install the transponder either as a compact mount or 2 ¼ “ full round. 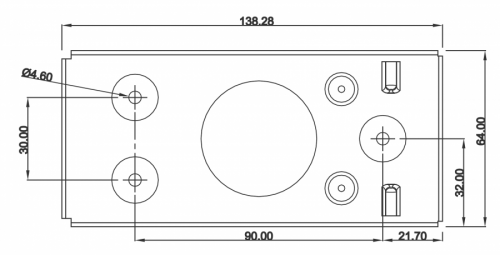 The kit includes a template to assist you in cutting an accurate compact mount hole in the panel. If a full round mounting is required then you simply fit the plastic blanks above and below the body on the TC20 controller (included in the box). Once installed the full round is a tough and durable solution and is particularly suited to classic and vintage types. Can I use the Transponder in open cockpit fllying? The TC20 controller is splash proof. This makes it suitable for use in open cockpit aircraft, where the weather can sometimes be in the cockpit and not just outside it! In Europe, how do I get a free minor change? Free minor changes for the TT21 and TT22 are available, see our minor change library. 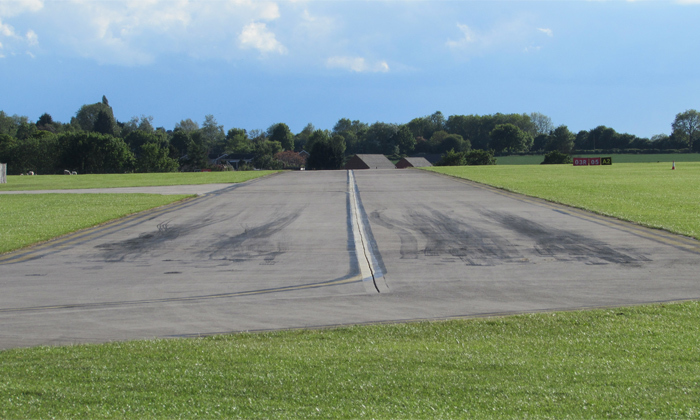 You may also consider the alternative EASA approval called CS-STAN this is especially suited to VFR aircraft.